How the state is setting the standard for industrial hemp production in the U.S. If you stroll through the streets of La Junta, Colorado, it will appear, in many ways, to be the cliché of an American western town. Sagebrush and farms surround the small, high-desert city of 7,000, and the La Junta downtown retains the brick-and-stone storefront facades that prove there once was money and booming construction here, but somewhere along the way, that capital dried up like soil in late summer.Ten years ago, traveling out in the arid countryside along the banks of the Arkansas River, the only farms you’d have seen along the way were growing produce like melons, tomatoes and chilis, with hardworking farmers toiling at the land to make what living they could. Some farms were more successful than others. Like much of rural, agricultural America, more were flirting with the poverty line than we’d like to admit.And while not much has drastically changed within the city of La Junta, on the dusty plains outside the city, the landscape, agriculture and economics are currently entering a new era. While growing traditional agricultural products still dominates acreage in the region, increasingly the neat rows of produce are being replaced with another cash crop, which a decade ago would have been inconceivable, not to mention illegal. In the flat expanses of the Great Plains, with the Rockies distant in the background, the neat little rows of green now poking out of the earth are a more lucrative crop: hemp. If La Junta was the cliché of the American West with its nostalgic downtown and farming-based economy before, it’s now flirting with becoming Colorado’s new version of the rural normal. 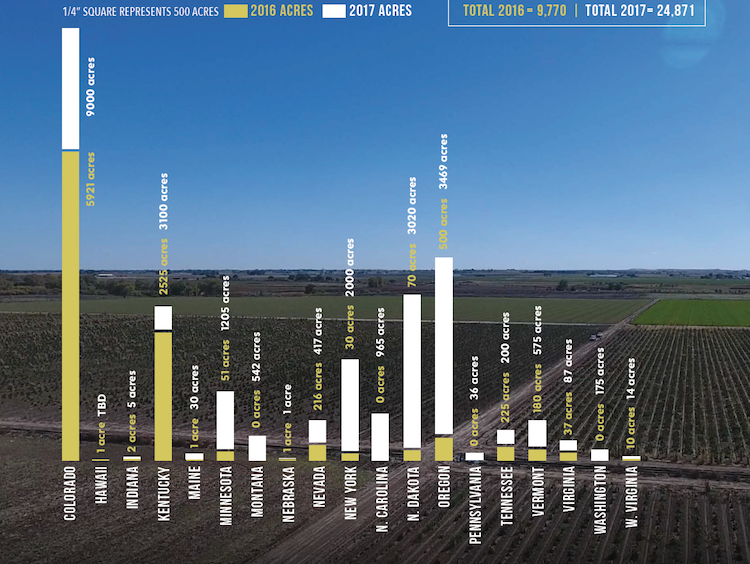 Since the passage of Section 7606 of the 2014 Farm Bill, which allowed for the cultivation of industrial hemp in the United States for the first time in decades, Colorado — more than any other state — has moved quickly to capitalize on the newly legalized industry.In 2017, 19 states reported acreage specified for growing industrial hemp, and Colorado’s production dwarfs that of other states. According to Vote Hemp, a Vermont-based nonprofit hemp advocacy group, in 2017, Colorado farmers accounted for over 31 percent of all of the acreage planted for hemp in the entire nation. As of November 2017, over 500 hemp farmers were registered through the Colorado Department of Agriculture. “We’ve seen hemp cultivation significantly expand in the U.S. in 2017, with over double the number of acres planted in hemp compared to last year and the addition of four more states with hemp pilot programs,” said Eric Streenstra, president of Vote Hemp.This growth has been driven largely by the exploding worldwide market for CBD-derived products. CBD sales more than tripled between 2014 and 2017, from $108.1 million to $358.4 million, according to the Hemp Business Journal’s mid-2017 report. By 2022, the CBD industry is expected to surpass $1.8 billion in sales. 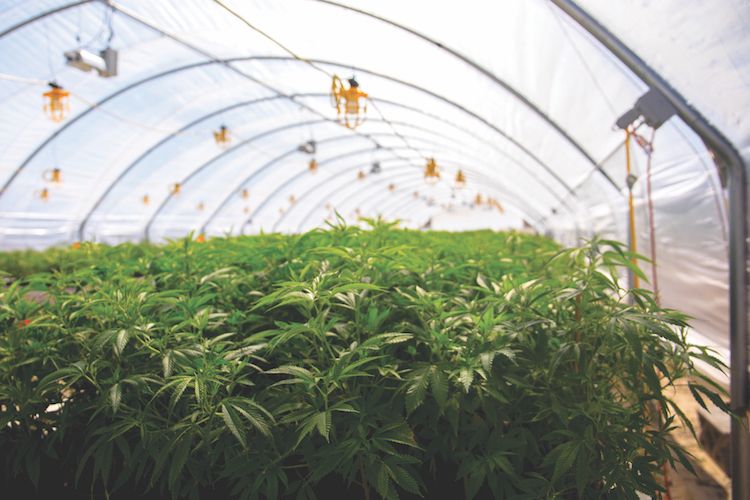 So far, production of hemp-derived CDB is lagging behind demand, meaning that the full size of the potential market remains unknown.